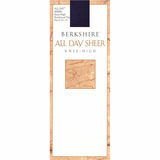 Berkshire Hosiery offers a vast Hosiery line, and could proudly say that they could fulfill every women's Hosiery needs. Berkshire Hosiery is one of the highly recognized leading Hosiery Brands and is from the only Hosiery Brands that is proudly manufactured in the USA. 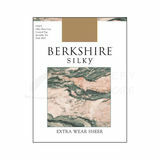 Berkshire Hosiery is available in every style, finish or thickness that Hosiery was ever made. 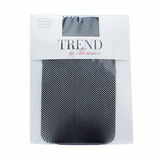 Berkshire Hosiery sizes are uniquely designed to fit well every shape or size, no matter the size your looking for, Berkshire has it. Berkshire offers products in petite sizes starting at 4'10" tall weighing 90 lbs, to queen sizes that fits up to 6'2" tall weighing 330 lbs. 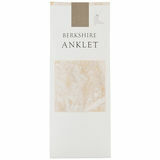 Berkshire Hosiery styles include: Pantyhose, Tights, Leggings, Stockings, Thigh Highs, Knee Highs, & Anklets. 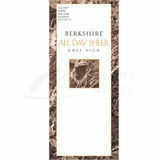 Berkshire Hosiery is available in Ultra Sheer to Extra heavy Opaques. Matte, shiny, or Shimmery Finishes, Sheer to Waist, Control Top, Extra Strong Shapers, Toeless, Sandal Toe & Reanforced Toe.